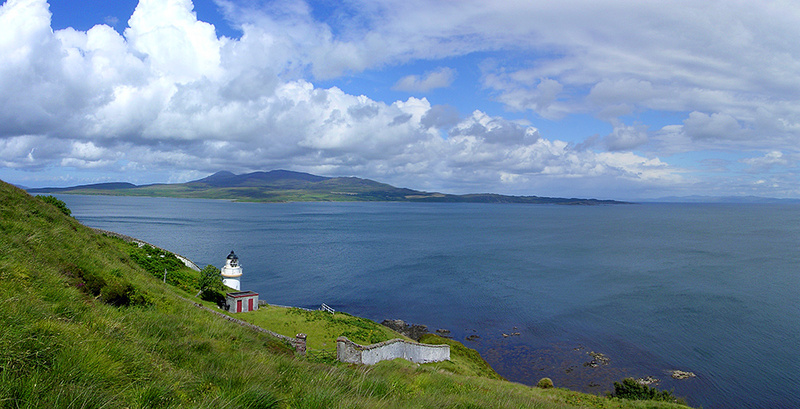 A panoramic view over the southern entrance of the Sound of Islay from just above McArthur’s Head lighthouse. Jura on the other side of the sound with mainland Argyll visible in the distance on the right. This entry was posted in Cloudy Weather, Landscape, Lighthouses, New Post, Sunny Weather and tagged Islay, Jura, McArthurs Head, Sound of Islay by Armin Grewe. Bookmark the permalink.